Ever since the dawn of humanity, people have been turning their heads and curiosity towards the unknown and explaining it via the existence of the Gods. Whether something fortunate or unfortunate was to happen, it was the direct result of the will of different Gods and in order for the tribe, community or even city to be blessed usually a ritual of huge proportions was performed. Today, whether out of belief or not, we still tend to keep the tradition alive and perform the rituals taught to us by our grandparents. And while lighting a few candles every now and then and saying a prayer is normal, there are still some extremely crazy traditions and rituals people still perform today that will definitely leave you speechless. 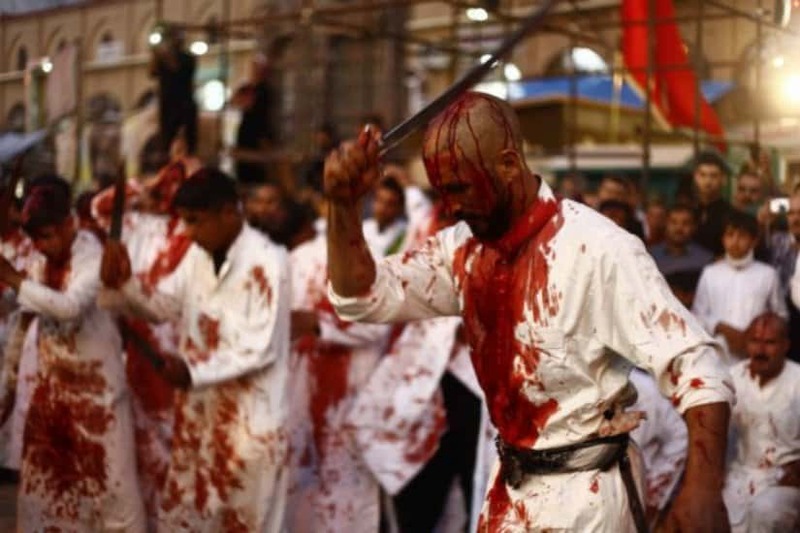 Every year, during the Holy month of Muhrram, followers of the Shi’a sect of Islam carry out a strange ritual of mass self-flagellation, in order to honor their martyrdom of Hussein. The gruesome display consists of man whipping their bodies with blades attached to chains. 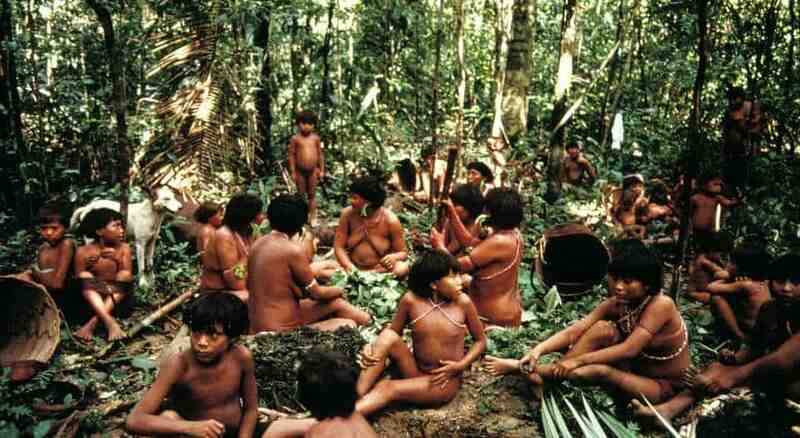 One of the most primitive tribes in the world still in existence, the Amazonian tribe of Yanomami, also has some of the strangest rituals that are still performed today. Having the belief that death is not a natural phenomenon, they cremate the dead and mix the ashes with food that is consumed by the tribe, in order to make sure that the spirit of the deceased stays with them. 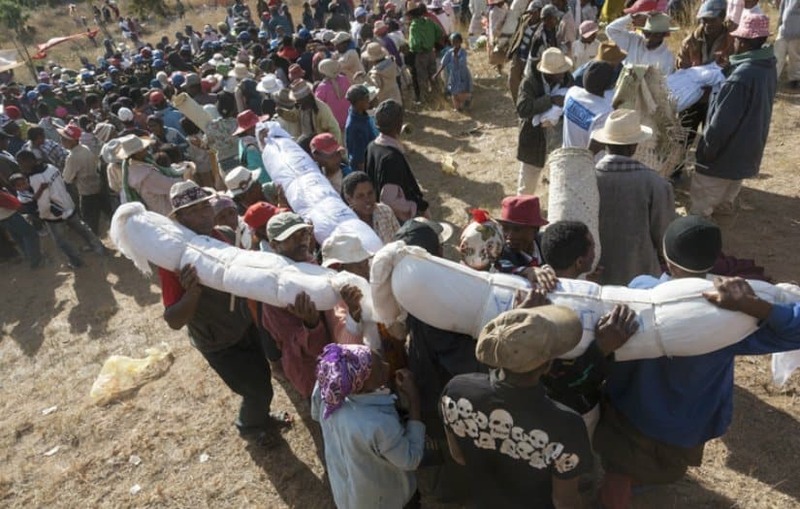 Another weird way of burying and commemorating the dead is the so-called ‘Turning of the bones.’ Performed in Madagascar, the ritual includes a dance with the dead bodies of their loved ones to live music, before reburying them. The good thing is this ritual is only performed once every two to seven years. 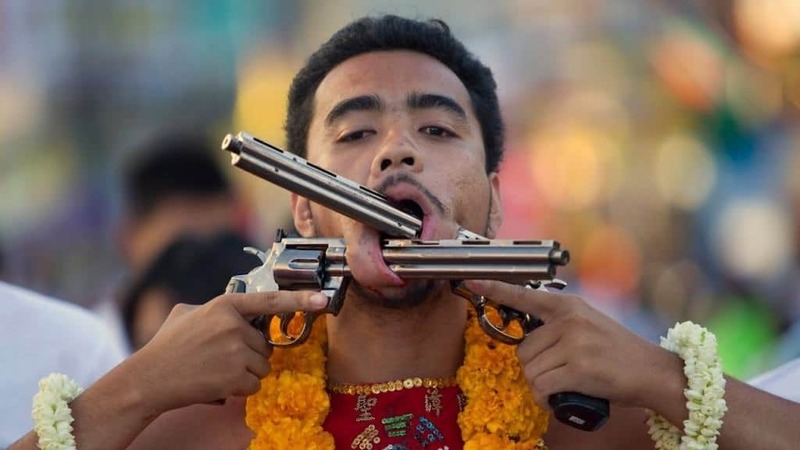 One of the most masochistic rituals in existence, the impaling during the annual Vegetarian Festival in Phuket, Thailand requires the participants to impale their cheeks with swords, hooks, knives and even spears and guns, as it is believed that the gods will enter their bodies and protect them from evil. In Buddhism there is the belief that in the cycle of rebirth the spirit leaves the body, thus when someone dies their soul is transported to another realm. 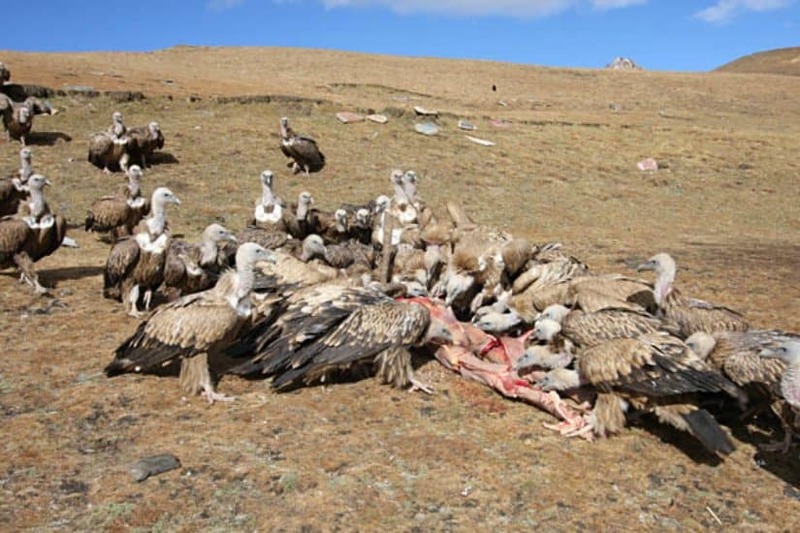 With that in mind, in Tibet they still practice the sacred sky burial ritual, also called Jahtor, which includes leaving the body of the dead at high altitudes for the vultures to find it. If you are looking for weird and strange rituals, you should visit the village of Bunlap, found on an island in the Pacific archipelago. 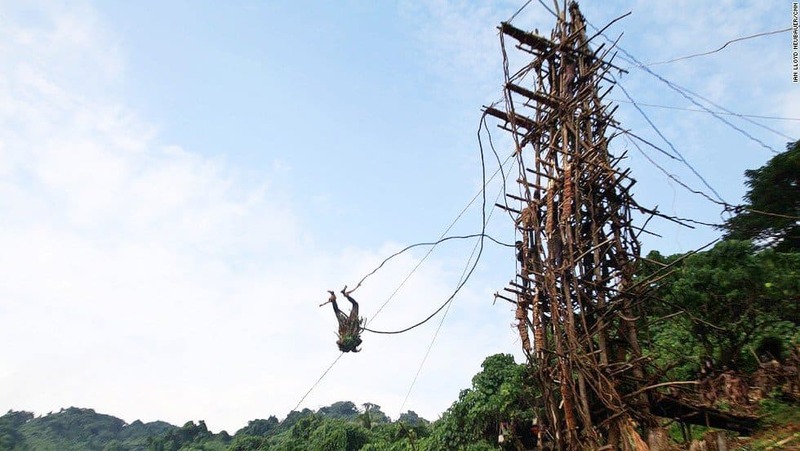 Among their numerous traditions, they also perform a ritual called Gkol, which is basically bungee jumping with vines to the beat of the drums. 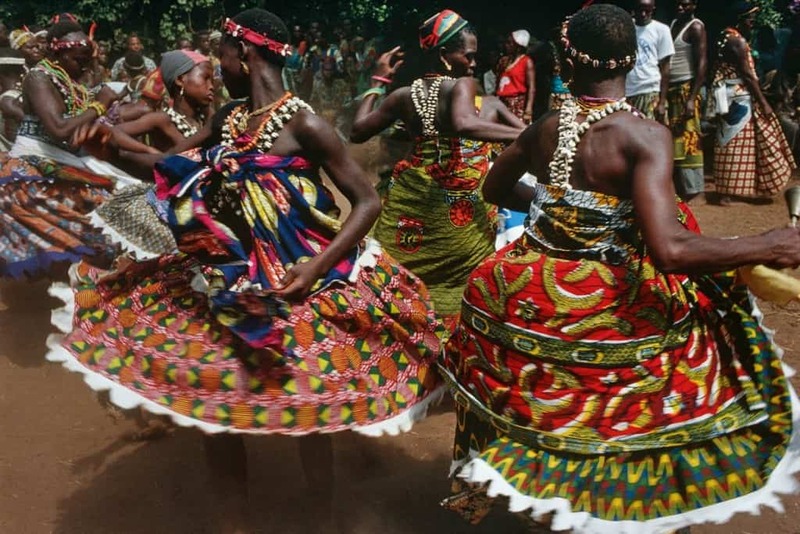 While many people make fun of Voodoo and Spiritual Possession, especially when it comes to popular culture, in West Africa there are a number of rituals connected with such beliefs. In one of them, a person is turned into a vessel of the gods by taking them into the forest and connecting them with the earth spirit. The medium remains in this state for as much as three days, before they are brought back to consciousness. 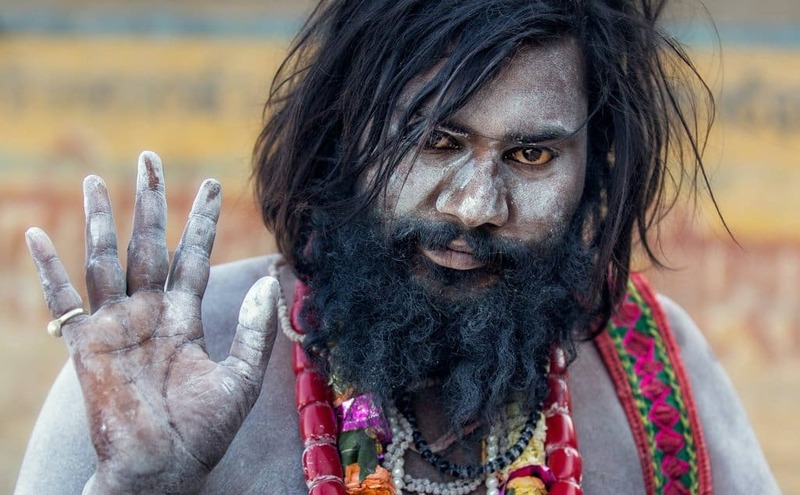 Known as the Aghori Babas, living in the city of Varanasi, India, there are people that believe they should eat the bodies of the dead in order to surpass into a higher state of spiritual enlightenment. 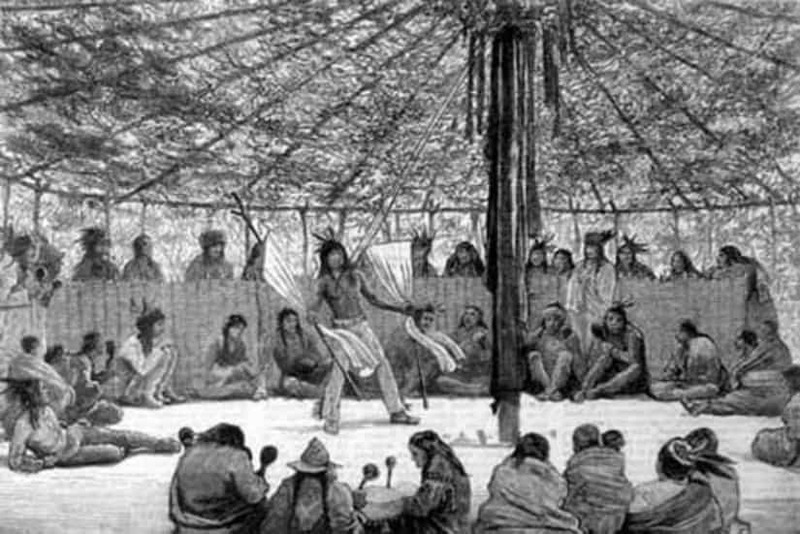 In order to honor the Earth’s spirits, some Native Americans still perform an age-old ritual called ‘the Sun Dance.’ The ritual consists of a person pierced with a skewer in the chest and a rope that is connected to a pole, which represents the tree of life. The Sun Dance beings as the person tries to break free from the skewer. 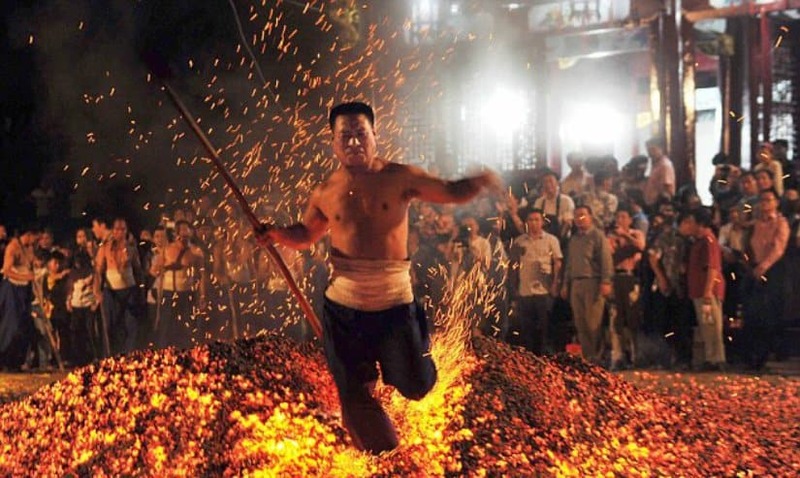 In Penang, Malaysia there is a ritual during the Nine Emperor Gods Festival in which people walk barefoot on burning embers in order to purify themselves, overcoming impurity and repelling evil. This ritual is also performed in other parts of the world and goes by different names.